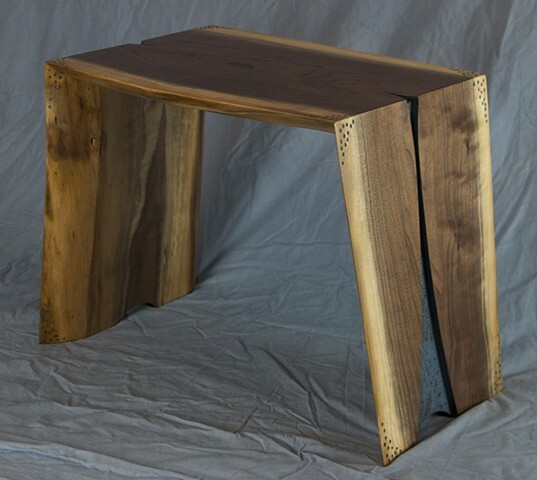 H 19.5" L 28" D 15"
This end table is made from a live edge walnut plank. The ends are recessed, colored with blue milk paint, and then textured. Complementary texturing is added to the various corners, echoing the shape of the recessed areas. This table will be donated to the Frank Gallery's 2015 fundraising Gala.